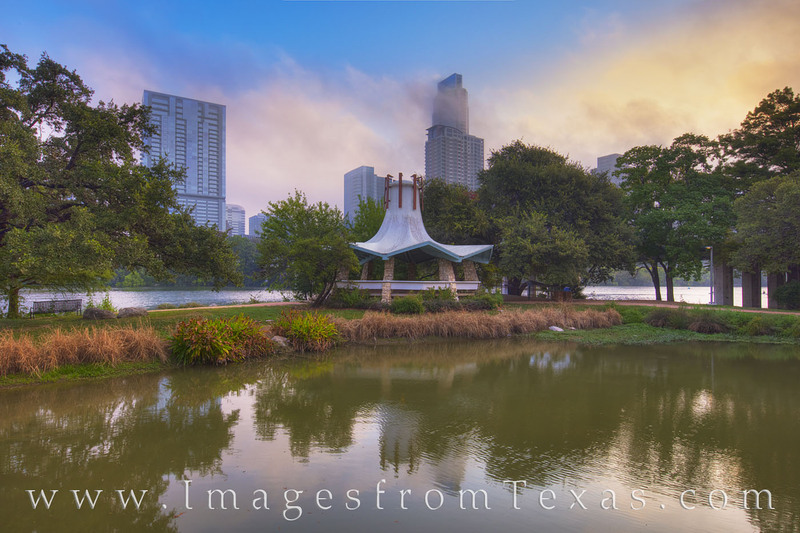 On a foggy morning in downtown Austin, Texas, orange light slips through the clouds, momentarily revealing the skying and the Austonian. Taken from a pavailion along Lady Bird Lake's hike and bike trail, this view looks southeast towards the Austin metro area on a humid September morning. Photo © copyright by Rob Greebon.